Registered Dietitian: Why you need a dietitian? • The RD will educate you with the goals of maintaining and improving your health. 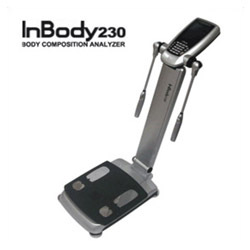 The InBody230 provides precision body composition with segmental lean analysis and body fat analysis in less than 30 seconds. Nutrition software, which make the dietitian work extremely accurate and apprehensive. Nutri-base is capable of analyzing your food intake will provide an accurate report regarding the macro and micro nutrient intake. During a one on one visit with the dietitian for an hour, he will complete a nutrition assessment, assess medical history, discuss current eating habits, and set specific goals. The dietitian will assess your progress and will provide feedback for improvement. These visits are critical to your success. Follow-up visits provide support, and allow for ongoing nutrition education. This body composition & basal metabolic rate is done using the In body 230. It will give you a breakdown of the amount of fat, muscle, and water in your body. This information is crucial to establish realistic goals and to monitor progress over time. The RD will create a custom meal plan with recipes, based on your nutrition concerns, likes, dislikes and allergies. After providing the dietitian with the 7-day period of record of what you eat, the computer diet analysis will provide you with a printed detailed accurate report regarding your macro-micro nutrients intake. Then in an individual appointment, the dietitian can adjust your diet in regards to your need outlined by this computer diet analysis. Busy to come for a follow up with your RD, 15mins phone or even email follow up can be your best option that will suit you better. For your initial consultation, the registered dietitian can meet you and a family member (or a friend) at the same time. The same services will be offered as the individual consultation but at a lower rate.